Anyone in radio more than a few quarter-hours in radio has likely heard the name TERRY PATRICK. After a 13-year career as a successful Air Personality and Program Director at well-known stations in Southern Florida, Atlanta, and Cleveland, Terry was recruited by the famous Research Group, rising to the position of Senior Vice President and Partner. 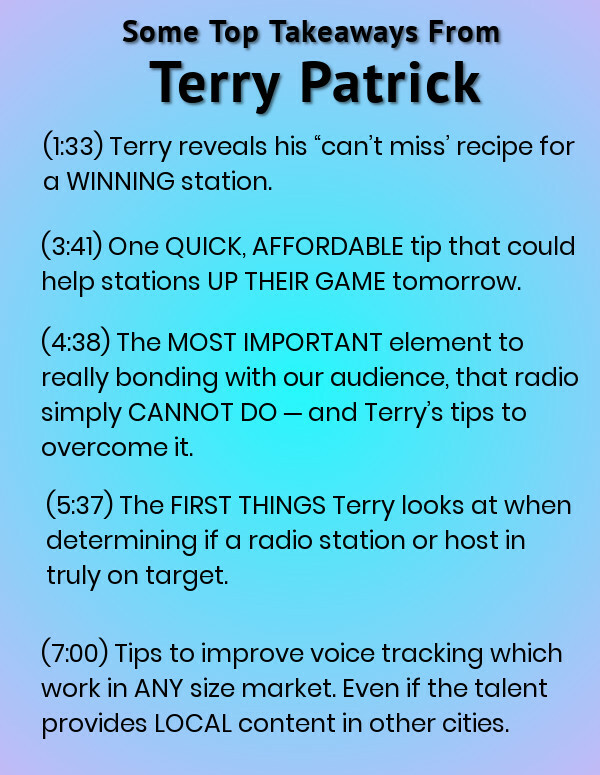 As a consultant and coach to the coaches, Terry has offered insights to most of America’s most noteworthy broadcasters…including: The Disney Family, Entercom, IHeartRadio, Viacom, Cox Broadcasting and CBS. He’s helped to propel nearly 60 different radio stations to Number One in the coveted 25-54 demo. This includes the iconic WBEB in Philadelphia …12-time Marconi award winner for "Radio Station of the Year. 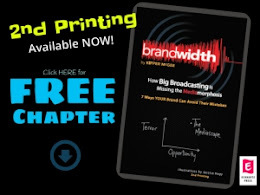 These examples from longtime Terry Patrick client WBEB-FM, Philadelphia illustrate how an innovative and inspirational owner (then, Jerry Lee) maintained top ratings and revenue, by marketing to consumers and advertisers alike.